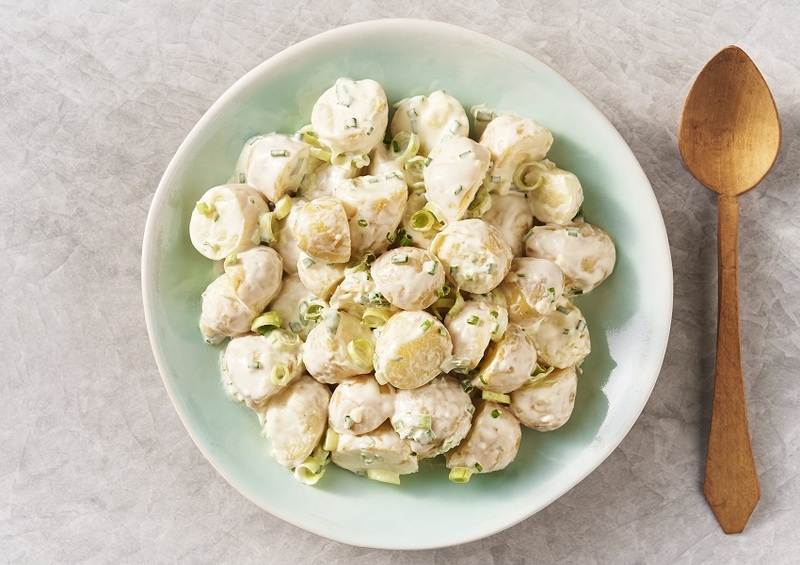 Cooked potato, spring onion and chives in a creamy mayonnaise dressing. Cooked Potato (72%), Rapeseed Oil, Full Fat Soft Cheese (Cows' Milk), Crème Fraîche (Cows' Milk), Double Cream (Cows' Milk), Spring Onion, Sugar, Pasteurised Free Range Egg Yolk,Water, Salt, Spirit Vinegar, Chives, Mustard Powder, White Pepper. Cooked Charlotte potatoes, spring onion and chive in a crème fraîche dressing.